We sat down with Nikki Glazer Stoicoiu, our Data Manager and Analyst, to learn more about her role and what sort of data she geeks out over. What does the day of a data manager look like? For our evaluation or analytics projects, I assist with project preparation, such as data template creation, data acquisition logistics, and data cleaning. Often times these early stages of a project are the most challenging. For example, projects involving state administrative sources typically take an extended period of time to develop data-sharing agreements, even before obtaining data. Once the prep work is done, I assist with analytical needs, such as compiling descriptive statistics, propensity score matching, and spatial analyses. In addition to analytics, a large part of my job is technical assistance. It is important to keep an open line of communication with our clients and be available for troubleshooting needs, questions, and concerns. If there are issues completing data templates, we can talk through ways to more easily or efficiently pull data. If we are assisting clients with projects involving grant reporting, we can talk with funders on behalf of our clients to be sure the proper reporting requirements are met. What kinds of data do you work with? We work with all sorts of data: primary and secondary sources, state data and survey data, individualized and aggregated data. Every project has different needs, so we supplement each project with multiple data types and data sources. From exploratory analyses with U.S. Census Bureau or Bureau of Labor Statistics data, to answering hyper-specific questions with survey questionnaires, we prefer to collect data from multiple places to substantiate each client’s needs. If you had to pick one, what is your favorite kind of data to analyze? New data! It is always interesting with new projects to connect the dots between the data that you have, the data that you can get, and the project goals. Also, I am a map nerd, so I love incorporating Geographic Information Systems to analyze and visualize data in different ways. 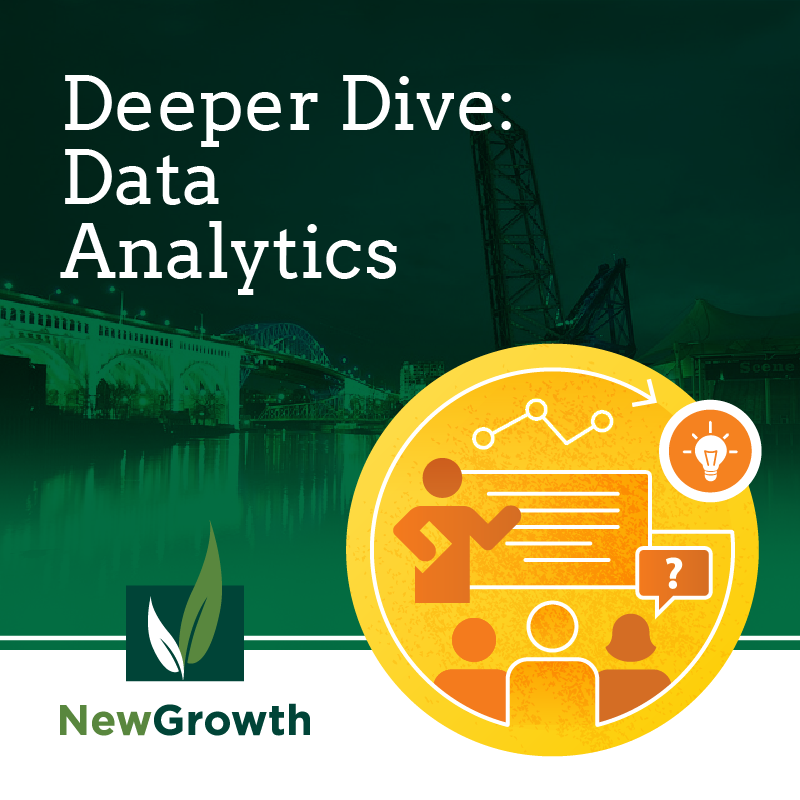 What have you learned about workforce development from the data sets you have analyzed? Data is extremely useful in “telling the story”, and that is definitely the case for workforce data. In many of our projects, we have been able to merge data from sources that have been difficult to align in the past. The connections between educational databases and state Unemployment Insurance data has been crucial in identifying training programs that have been successful in placing students in jobs. We are able to further validate success by disaggregating data, such as by gender, race, or neighborhood, for projects that specifically focus on underserved populations or communities. Hanging out with our Chief Furry Officer, Floyd the Labradoodle! But aside from that, I enjoy that I get to work on a wide range of projects. It is not unusual to concurrently develop a comparison analysis plan for a quasi-experimental impact evaluation, as well as create a cool data dashboard visualization using public data sources.